Breast Implant Illness: From a NonBeliever to Healed! For the past several years I've been public about my "mystery illnesses". Several people did ask me privately if I'd considered it being my implants and I scoffed at them and thought "Oh what ever- it cant be that- they are safe!" If this is you, or sounds like a friend that you know, please know that I was that person too and have created this blog series for people that are thinking just like I did. I share what I had to see and hear to finally open my mind for consideration. I'm happy to say, that nearly 3 months after having them removed 80% of my symptoms are gone and I feel younger than ever. I am grateful every single day for my health and vitality. The Heal is real...Godspeed ladies. EPISODE 5: Eve of Surgery "Balloon Release"
Why are so many COACHES being diagnosed with autoimmune and gut health issues? 1) it SEEMS like more coaches are “getting it” because we are the majority SPEAKING to it on social. A bunch of my neighbors have it and have never even heard of Beachbody. Our job is to be vocal while the average person suffers in private. So our voice is “lounder” but that doesnt correlate to actually being more prevelant . 2) we, in this group and the round table are 5* and above coaches. We are wired to PUSH. Many of us are type A and drive ourselves into exhaustion while the rest of the non high achievers rest. Our personalities are more prone to high cortisol levels and a cascade of other ailments bk we don’t stop until our body crashes on us. That level of stress all the time wrecks your hormones. And 4) because I have to go here. We (andmost health and fitness minded folks) are more vain than the average household person both in body image and for social / biz image. Many of us opt for implants (and Botox, and what ever else) to enhance what fitness cant. Implants can cause more of an inflammatory response, gut issues, food sensitivities and autoimmune type symptoms than any nightshade, shake or bean. I’ve been on an exhausting journey trying to diagnose my mystery illness, excessive weight gain, chronic inflammation and pain and AI-type symptoms for FOUR years. I refused to think it was my implants. Funny now, at almost 46 years old, and 9 weeks post op from breast explant surgery, nearly ALL of my symptoms have gone away. I spent years of elimination diets, detoxes and remedies but it was my IMPLANTS causing and exacerbating the health issues i was already genetically predisposed to. 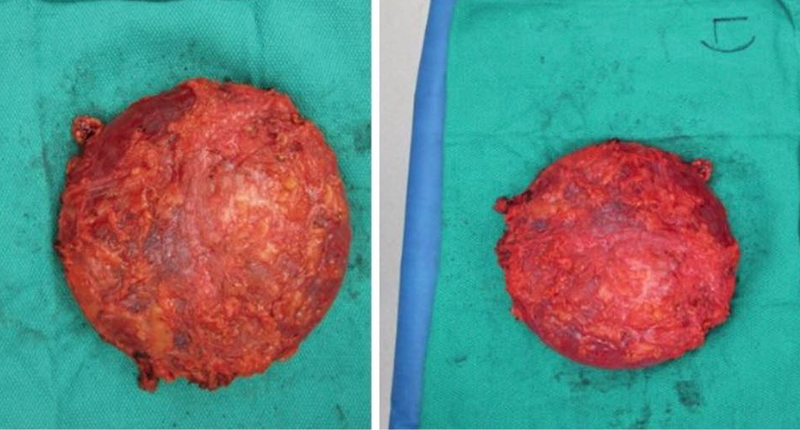 Let's Chat a Bit More about Breast Implant Illness, Shall We? 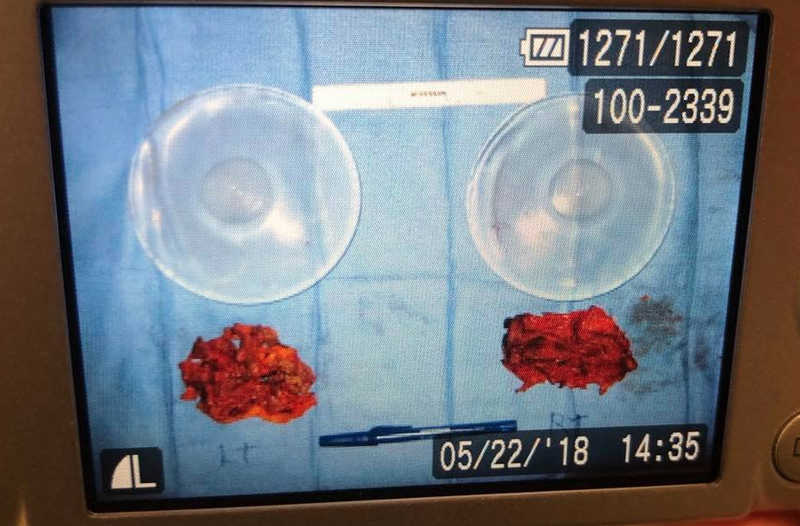 Since sharing about my own bout with Breast Implant Illness I’ve had dozens of women reach out to me privately with questions. While I don’t have all the answers, and can’t guarantee vitality for you if you have them removed, I will say, those nasty suckers certainly aren’t doing your health any favors. They are a ticking time bomb where you will eventually...notice odd changes in your health. For me, it was my gut health. For others, it can be autoimmune-type symptoms. The sneaky thing is, the symptoms are random so you kinda brush them off or take a pill to make them “go away”. I girl asked me last night when exactly does the illness start to happen? There’s no time table. Again, it depends on many personal variables. Ive seen women that (allegedly) never had any symptoms, to many years later, to just a few weeks after implant surgery. Again, it just depends. Another girl asked if she was ok- because she had saline filled. No. The shell of the implant is still...SILICONE. The problem is that silicone can slowly leach its toxins into our vital organs, which aren’t very far since they are stuffed front and center in our chest cavity. This leaching process can happen even more so when heated, like in hot tubs, saunas or hot showers. While the majority of western civilization medical doctors will deny (or at least won’t admit) that BII is a real thing, especially plastic surgeons, many Eastern medicine, or naturopaths, will. I have found this article below, by Dr Axe very helpful in explaining BII and its symptoms, in layman's terms. Incredible weight and health transformation from Jillian Mills! 😲Eventually, I had catastrophic vision loss and was blacking out and falling. When I recognized I had to fight 👊to regain my health, I also recognized I didn’t have the energy to go through trial and error. I needed guidance, support and the right tools. 🔧 Enter: Beachbody. I wasn’t interested in simply losing weight, though I desperately needed to lose. And, I certainly wasn’t interested in killing myself to lose weight only to regain it because I didn’t learn how to maintain it. Through the unparalleled products and tools, amazing support systems and the guidance of my coach, I embarked on my road to recovery. ⚖Over 60 lbs lost - though the weight isn’t my biggest accomplishment. 🙀I went from regular cortisone shots in both knees to taking knee replacements off the table. 🙌For the first time in over 10 years, I have no symptoms (And, no pain!) from my autoimmune conditions. 🏃I have energy for the first time in a decade. 🙋I’m getting healthier every day - the weight loss is just a side effect…an awesome one! And, I’ve come out the other side. If you want to be healthy and fit, 💪you don’t have to try to figure it out on your own. It would be my honor🙇 if you would allow me to pay forward the amazing health transformation Beachbody has done for me, TO YOU by meeting you 🤝wherever you are on your journey and walking you through to your fullest potential and possibly the best health of your life. All Natural after removing my Breast Implants! 3 weeks post op after having my toxic silicone bags removed from my chest and I’m feeling better every day. I should be able to start working out again in another week or two but until then, I’ll continue losing weight with the Mindful Eating program! !